Arabica Brazil Santos fine cup is an excellent coffee with a special, honey flavor enhanced sweet note. This variety is characterized by low acidity, gentleness and allure intense aroma. 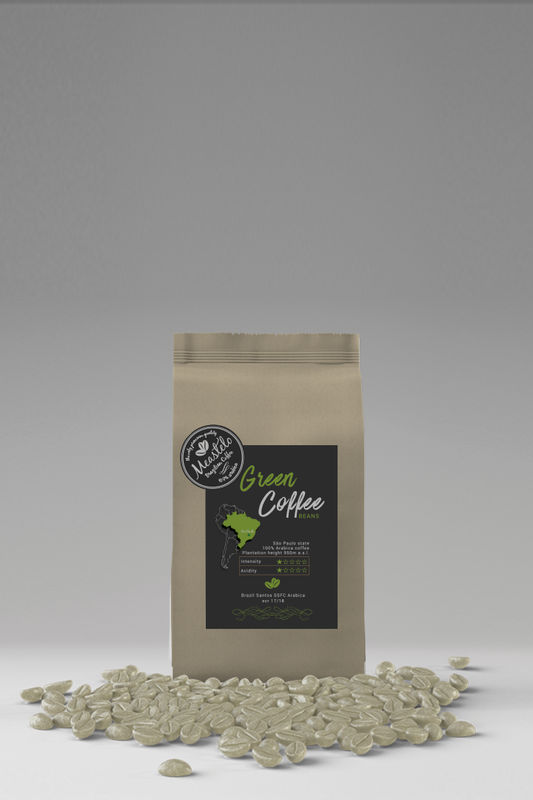 Green beans ground Arabica Brazil Santos fine cup, prepared specifically for people who want to take advantage of properties of green coffee. We adjust the amount of brewed coffee to suit your taste preferences. The milled grain pour boiling water and brew about 3-5 minutes. Step one: Crush or grind (finely to coarsely) the green coffee beans – depending on the desired intensity of the drink. Step two: Put the ground green coffee in a cup and pour hot water over it (approx. 90 ° C). Step three: Let stand for about 3-5 minutes and then filter the broth through a fine sieve. Step four: The green coffee beverage is now ready to drink! You might want to refine it with sugar, honey or cardamom.